If you’re an avid adventurer of the great outdoors, you know better than anyone that outdoor activities require A LOT of gear. Kayaking, camping, climbing, hiking, you name the activity, and there’s a few dozen products you need to make that activity safe and efficient. As an outdoor adventure connoisseur and a pet owner, you’ll have additional concerns about what to bring with you when your dog is coming along for the ride. There are countless products on the market made for the exact adventure you’re planning. 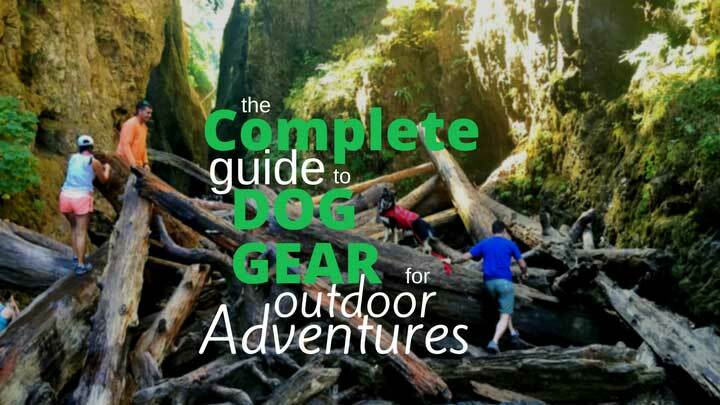 Luckily for you, we’ve already compiled a detailed list of items that should make their way into your (or your pup’s) next adventure. 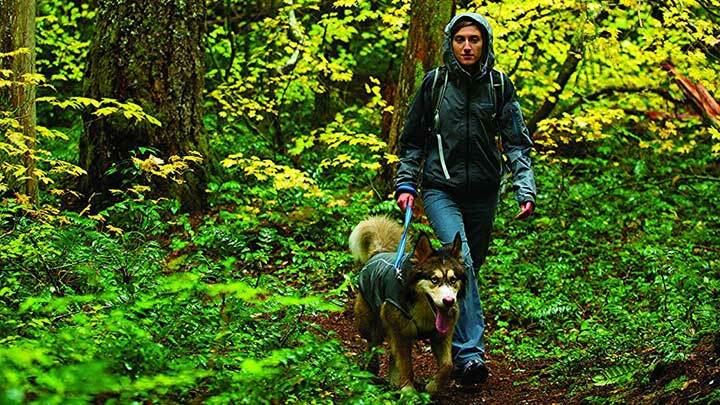 A lightweight coat or jacket suitable for the weather you’ll encounter during your expedition is a must for your dog. Just as the cold and rain can chill us to the bone, dogs feel the same weather we do. You should choose a coat for them specific to the activities you’ll be getting into and the weather forecasts during that time. 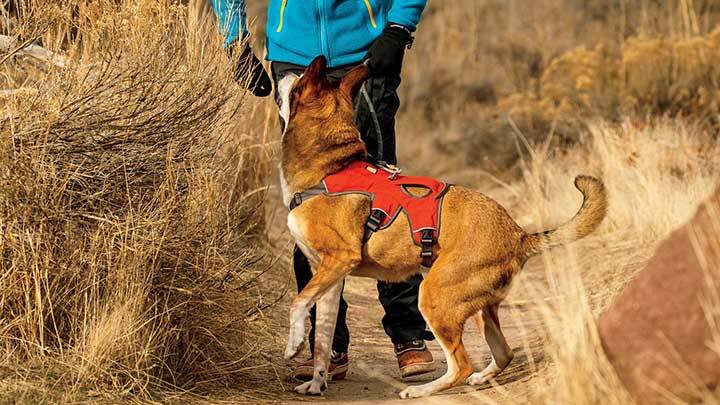 In general, a dog jacket should be protective of the elements, lightweight enough to keep pace, and resistant to tears and snags along the trails. Bonus points if you can find one that has pockets! 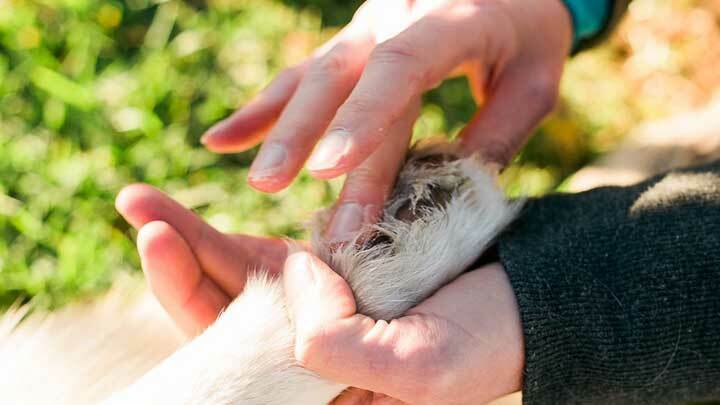 Certain trails can be dangerous for your pup’s feet, as you never know what you could happen across. 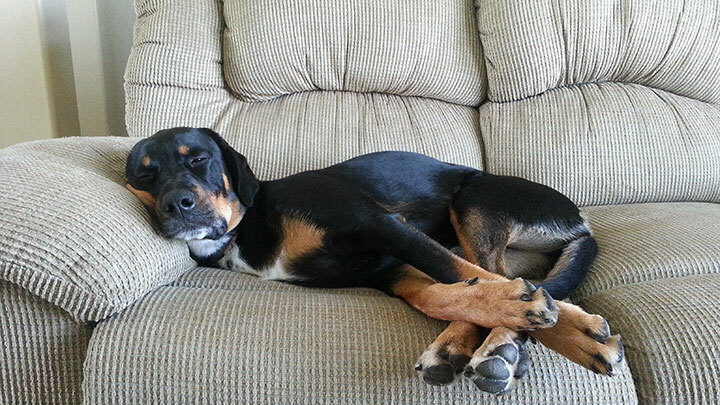 Sharp rocks, rogue pieces of glass, or thorns making their way into paws can be a nightmare. Booties protect your pup’s feet and prevent accidents by adding an extra layer between fragile paws and rough terrain. Especially important for ice and snow, booties are essential for any rugged pup. They come in multiples sizes and for different purposes, so be sure to read carefully before selecting a set for your dog. 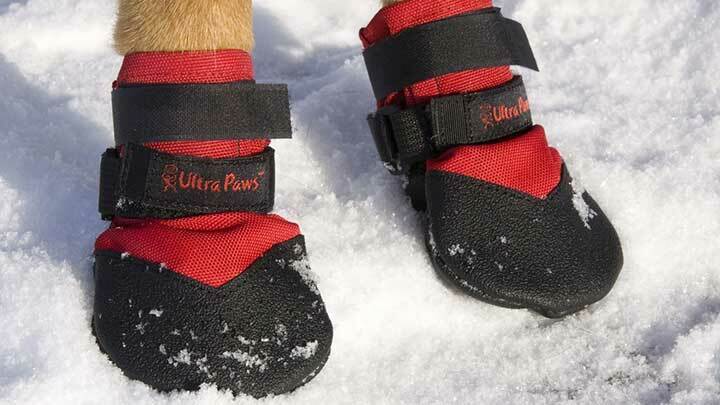 As with any new gear, you’ll want to acclimate your dog to their new shoes by having them wear them at home several times before hitting the slopes. The main advantage of purchasing a dog pack is offloading some of the weight you will be carrying to your doggy adventure buddy. Also, if they are a working breed, they’ll be happy to bear some of the burden. A good choice of pack harness should have adequate storage for supplies, while being a comfortable fit to your dog’s stature. Like anything else, carrying a pack will take some time to get used to, so be sure not to overdo the weight or size of your pet’s first pack. It’s recommended that your dog carry no more than 25% of their body weight in their dog pack. If you plan on going anywhere near the water on your outdoor excursions, a doggy flotation device is a must-have. 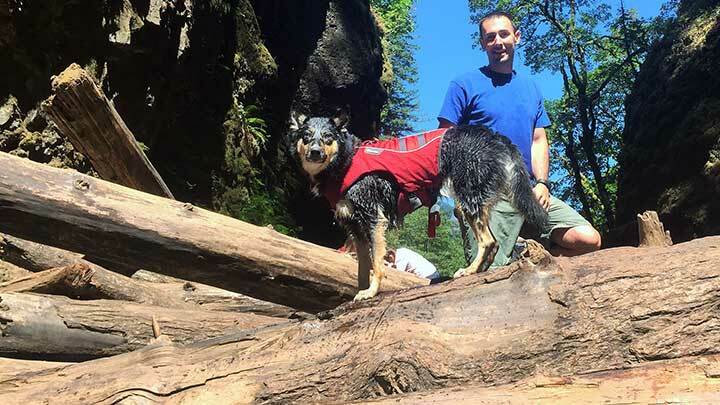 Whether on a trip to the beach, a lake, kayaking, boating, or otherwise, you’ll want to be sure to bring a life jacket for yourself and your pup. Regardless of if your dog is an agile swimmer, they need a safety jacket to keep them above water and visible in case of emergency. Good features of a doggy life jacket are strong, abrasive-resistant materials, comfortable, and visible, which usually comes in the form of reflective materials or lining. An added bonus of choosing a pet life jacket with a handle is that if they do happen to go temporarily overboard, you’ll be able to retrieve them easily and safely. ook for a leash that’s made of high-quality, long-lasting materials that won’t rub the palms of your hands raw if held for a long time. If you’re willing to spend a little extra dough, there are plenty of hands-free options that can be worn around your waist or even clip directly onto your pack. A travel leash should work comfortably with your other gear to keep your dog safe and close by. 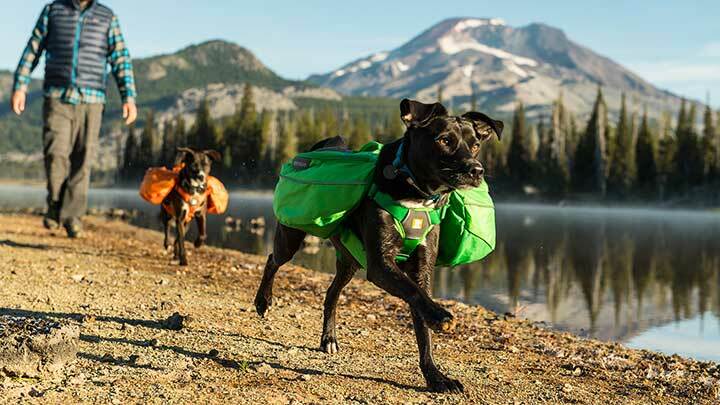 If you’re traveling overnight on your outdoor excursions, you need to be sure you can track your furry best friend even in the darkest of nights. 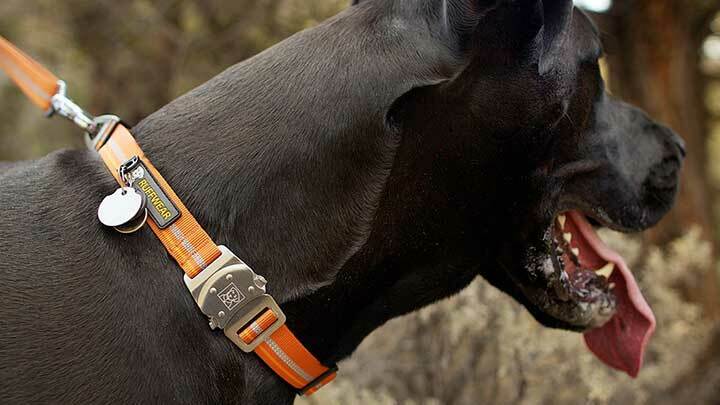 Light-up and LED collars and collar extensions are designed specifically for shining bright and keeping your pup in your line of sight. Your choice of collar or LED clip-on should be bright, long-lasting, ideally run on batteries vs. having to be charged, and be weather-resistant in accordance with the climate in which you’ve planned your trip. Water-proof or resistant is a plus, as you never know when you’ll come across a stream or rogue rain clouds. 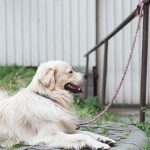 Dog harnesses are a less-restrictive alternative to attaching a leash to a traditional circular collar, as they reduce the possibility of choking by reducing pressure on your dog’s neck. 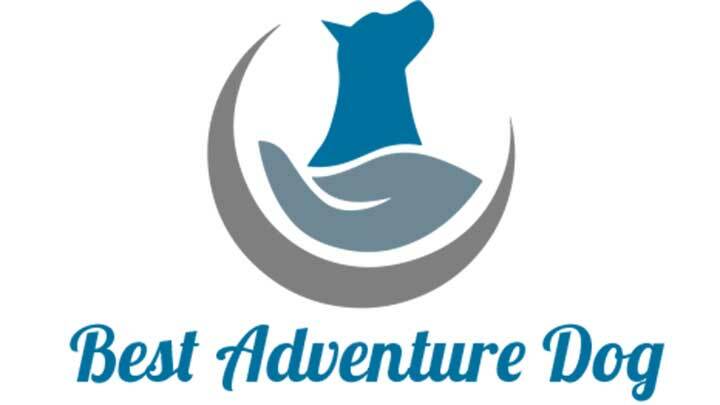 A true adventure dog’s harness should be comfortably worn for longer hours and fit snugly in all the right places. The harness should be made of a lightweight, durable, water-resistant fabric suited for your journey. Be sure to measure your dog’s rib cage before selecting a harness, as there are many models and sizes available on the market. Packing for a lengthy journey means packing as light as possible. The heavier stainless or hard plastic food bowls your dog is used to are too bulky to carry in a pack. Collapsible or folding travel dog bowls are made to be extremely lightweight and designed for maximum portability. A quality collapsible bowl should be made of a durable fabric that won’t rip or tear, holds water efficiently, and dries out easily to prevent mold or bacterial growth when not in use. Many of these travel bowls come with a carabiner or clasp that make hooking them onto your bag for easy access. If traveling overnight, you’ll want to bring along a special mat or portable bed that your dog can sleep on comfortably. 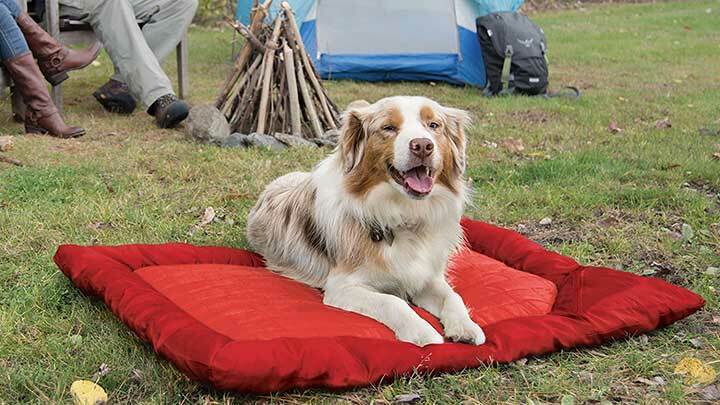 Preferably very lightweight and compact, a bed of their own will allow your pup to rest between hikes and keep their stamina up during the day. The fabric should be breathable and easily dried, while being soft enough to dream on. If possible, the bed should be one that your pet is already familiar with, so you may consider incorporating a travel mat into their existing bedding if many trips together are in your future. 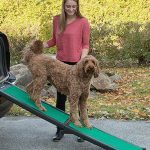 We did a full write up on the best outdoor dog beds and mats (thought not all of them are specific to travel, some are better for camping, or backyards). Check it out here. Any active dog owner knows that picking up your pet’s number #2 is an absolute must if you don’t want to be scorned by fellow outdoor enthusiasts. Pet waste can be an environmental hazard to wildlife or other travelers you come across if left out in the open. 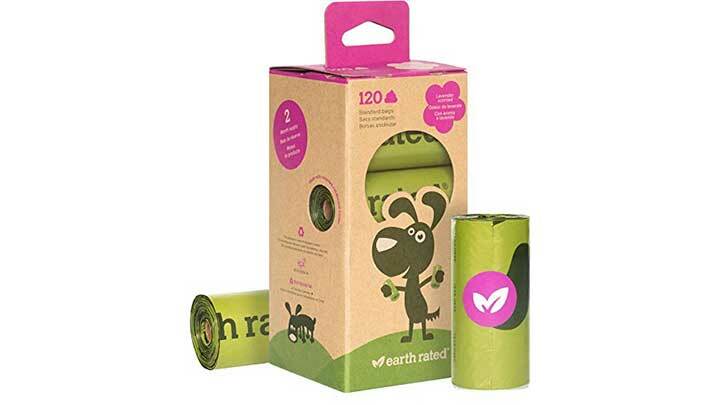 When trekking a mountainside, or camping for days at a time, you want to be sure that your doggie bag of choice is biodegradable and kind to mother earth. Look for poo bags that are labeled as compostable to keep your pack light and prevent you from being weighed down with unwanted bags of doggie doo-doo. Protective wax, popularized by dog mushers, is designed to keep your dog’s delicate paws moisturized and to prevent injury. Originally designed for pups trudging through dry, icy weather, paw wax is used widely for adventure dogs to keep their paw pads in tip-top shape. Paw wax generally forms a protective barrier on your dog’s feet to eliminate the sting and irritation caused by walking or running on abrasive surfaces. When choosing a paw wax, try to select one with minimal, all-natural ingredients that doesn’t contain artificial fragrances. Many of the products designed for this purpose can also double as a healing balm for dry puppy ears and noses, or as protection for any small cuts or scrapes they pick up along your journeys. 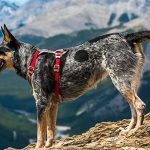 Similar to a first aid kit or all-in-one survival kit, dog emergency kits are filled with anything and everything you and your pup could need while trekking along on your adventures. 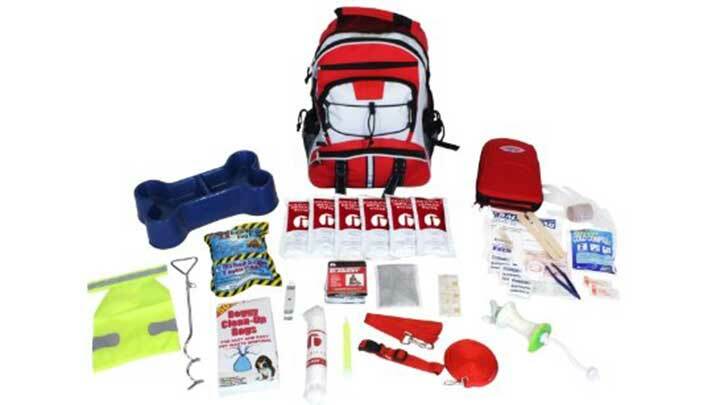 Owning an inclusive emergency kit designed for your pup means you’ll have peace of mind and be prepared for the unexpected. 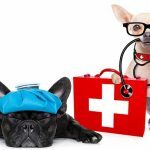 A good pet emergency kit should include some of the following: purified water, extra ID tag, emergency rations, first aid materials for you and your pet, an emergency blanket of sorts, an extra source of light, such as a flashlight or flare, and if possible, some kind of durable rope that can be used as a leash or otherwise. The emergency kit you choose should be portable and lightweight for easy carrying, but hold as many lifesaving materials as possible. You can never be too prepared! 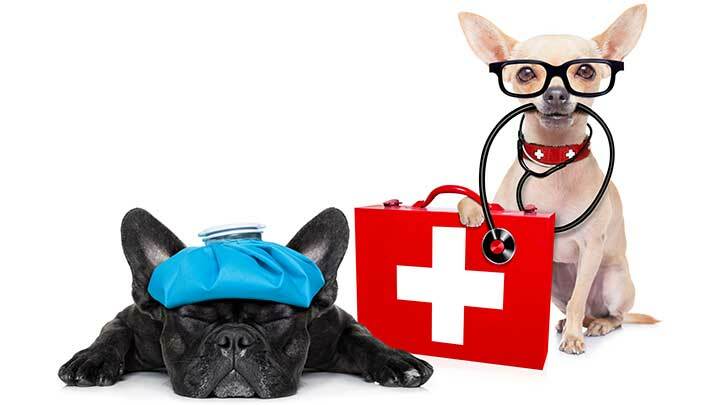 Be sure to check out our DIY doggy first aid kit guide here. After picking out your dog gear and choosing your adventure, be sure to heed these few tips before heading out. This may be telling you what you already know, but packing light is a must for outdoor expeditions. Especially with the addition of a 15-40 pound dog, you’re going to want to keep your load to a minimum to make sure you can move quickly and efficiently on your journey. 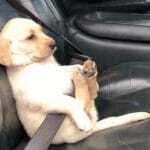 If your pet has a tendency to get skittish or homesick, it’s always a good idea to bring something with a familiar scent to keep them calm and collected while traveling. A lot of what you’ll be bringing will depend on the climate and weather conditions of the area. 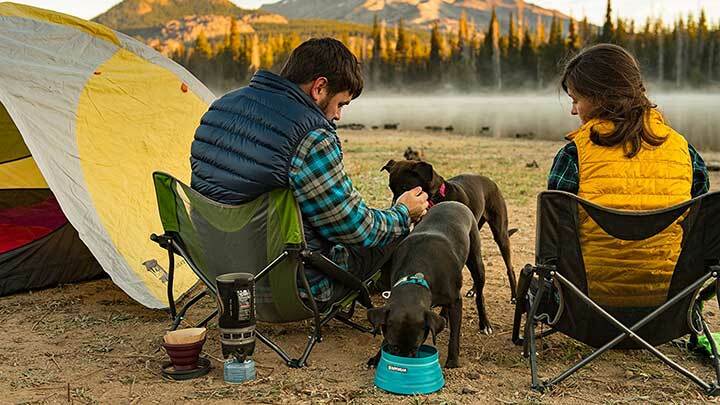 Don’t just go with your gut here, make sure you have a solid idea of whether you’ll need rain or snow gear for your pup on your trip. Even the furry ones can get just as cold as we do! Regardless of how long you’ll be gone, it’s advised to make sure your dog’s shots and vaccinations are all up to date before hitting the trails. While it’s horrible to think about, you can’t know for sure whether you’ll encounter a rabid animal on the way. It may go without saying, but your dog should be fit enough to accompany you. 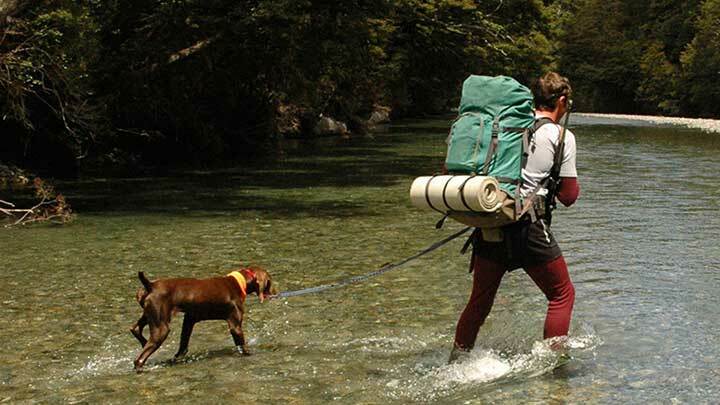 Just like humans train for outdoor activities, your dog will need to be able to handle any hiking or swimming required. 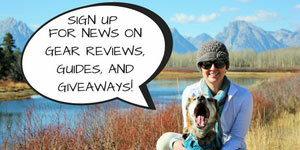 A weekend-long camping trip that involves a lot of hiking isn’t advisable as your dog’s first trip. Take it slow by warming them up with hour-long hikes rather than hitting them with the intensity of a few-days long trip all at once. While you may have learned which animals and plants to avoid, your dog likely doesn’t have that same understanding. Even if you trust your dog not to run off too far, you’ll want to keep an eye on them to ensure they don’t eat the wrong berries, contract poison ivy, or have a run-in with a wild animal. If you have identification papers on your dog, which you should, snap a picture with your smartphone that way you can keep them on you in case of an emergency. Their collar should also have at least one clearly marked ID tag with your name and contact information. It’s not a bad idea to place an extra ID tag in their pack for multi-night hikes or trips.